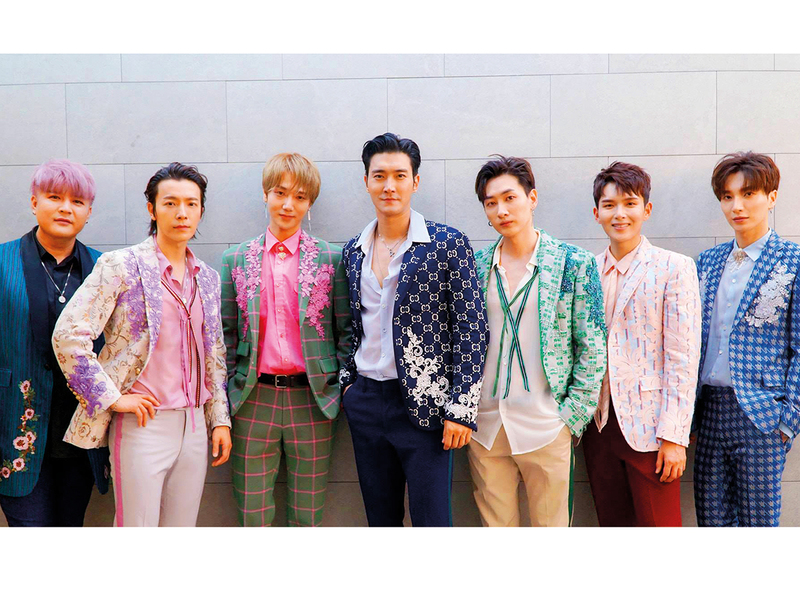 Boy band Super Junior and fans celebrated 13 years together last week. To commemorate the milestone, members of the prominent group individually thanked their fans, collectively known as Everlasting Friends or ELF, for their love throughout the years and asked for everlasting support in a special video uploaded on YouTube and on South Korean livestream service, V Live. “For 13 years, we’ve received endless love and it was all made possible thanks to you guys [ELFs],” Leeteuk, leader of the group, said in the video message. ELFs around the world celebrated Super Junior’s anniversary in their own way. As for UAE fans, they were on a whole other level. Instagram fan account @donghaearab rented out time on Dubai Ice Rink’s LED screen in The Dubai Mall to feature footage of Super Junior to celebrate the special day. Greeted by the faces of the K-Pop stars, the three-hour long project had been planned since the beginning of the year and was worth the wait as the response was “so positive”. “Super Junior is like our family. We love and respect them very much. We want them to know that we appreciate their hard work for us for 13 years,” she adds. Super Junior debuted in 2005 with 12 members under SM Entertainment. They went on to release hits like Sorry, Sorry, Bonamana, Mr. Simple and Lo Siento. The veteran K-Pop group is slated to hold a concert from November 30 to December 1 at Tokyo Dome in Japan.